« Why Choose a Professional Lawn Mowing Service for Your Lawn? Is your driveway feeling a bit bumpy these days? It may be time to show it some love with a bit of maintenance. There are many factors to consider when trying to patch your driveway to tip-top shape. Constant temperature fluctuations and thousands of pounds in vehicle weight are going to take their toll on your driveway at some point. This generally comes in the form of cracks. Most of these cracks are less than ¼ inch wide and can be patched right up with liquid crack sealer. However, if the cracks are deeper and/or more than ¼ inch wide this could be an indicator of problems under the surface. Patching these cracks would only be a temporary solution and would only put off addressing those issues for a couple of months. If your driveway is around 20-25 years old, it’s probably time to just replace it. Many years of exposure to the outdoors causes materials to break down. 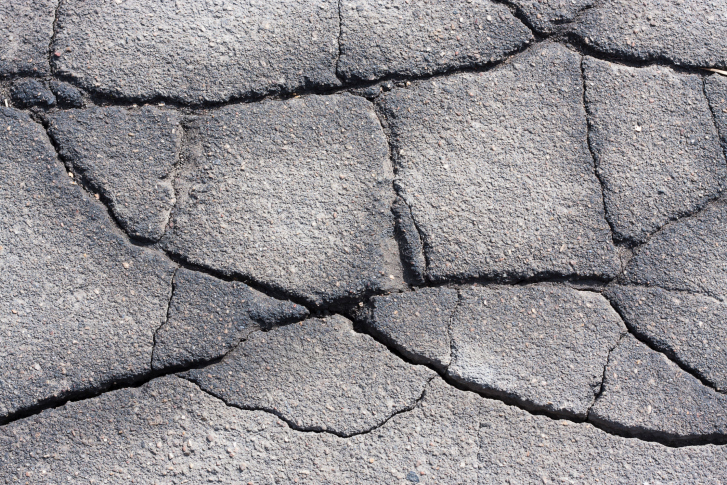 If the driveway is particularly old, patching it may not me worth the effort anymore. Replacement is also a good option if you’re trying to sell your home. Even if the cracks have been patched, potential buyers might be turned off if they see too much patchwork. A new driveway can go a long way toward increasing the curb appeal of your property. Looking For a Middle Ground? If you’ve patched all you can but you don’t think you’re ready for a full replacement, you may be able to resurface. This process essentially just removes the top layer and replaces it with a new, clean layer of concrete or asphalt. 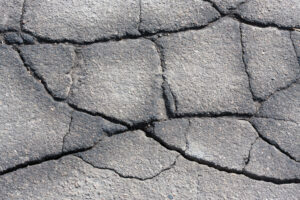 If you’ve got cracks or holes that are especially deep or if something has caused damage to the foundation of your driveway, replacement may be a better option. An experienced contractor would be able to advise you on whether your driveway is a good candidate for resurfacing. This entry was posted on Friday, May 26th, 2017	at 7:04 pm	and is filed under Asphalt	. You can follow any responses to this entry through the RSS 2.0	feed. Both comments and pings are currently closed.